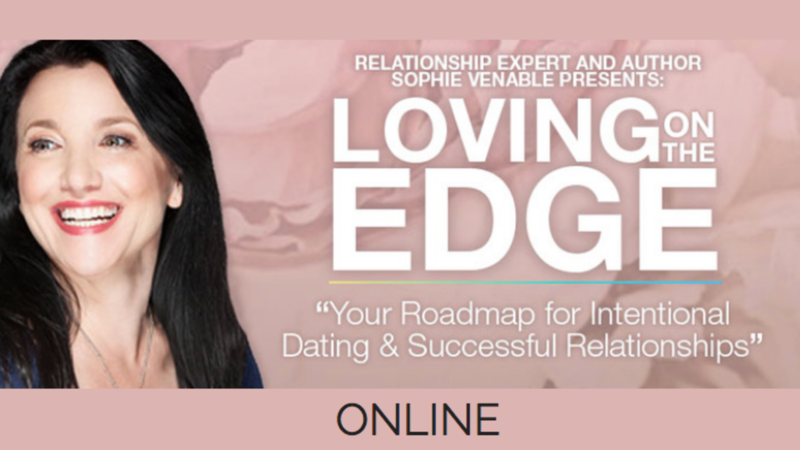 Attend Loving on the Edge Workshop from your couch! Over 5 hours of workshop material, filmed at the Historical Alex Theatre in February 2018. This workshop, Loving on the Edge, was a new venture for me. I was excited to bring people together to talk about courageous love and to learn what makes relationships truly work. My intention, with the content in this full day workshop, was to give you the tools and vocabulary you need in order to communicate effectively so that you can keep your life and relationships EXPANSIVE. To create a fun and romantic atmosphere, I decided to incorporate music. I'm a singer and love singing jazz standards. Music gives us permission to indulge our emotions... to process our heartsing and our heartbreak. The music is there to remind us of the timelessness of matters-of-the-heart and to give us common ground for our one-day pow-wow. If you are single, this workshop gives you a roadmap for what to be intentional about when you are looking for a healthy, long term partnership. If you are already coupled, the great mystery in life seems to be how to keep that relationship together - not just 'together' because you're stuck, but because you are happy and thriving! The key to staying connected and loving is to understand what makes a relationship work so that you can recognize what's not working and to have the vocabulary to talk about it in a way that feels like it is for the good of the relationship and the expansiveness of both people. You can sign up for this workshop alone, or enjoy this $47 value for only $19.99 when you join my Being the Real Deal Monthly Membership Program. This workshop is deliver on Day 61 on the membership. Attend this One Day Workshop Loving on the Edge from your couch... Over 5 hours of workshop material! Or, check out Monthly Membership Offer Below...it's included after only 2 payments of $19.99.